As the FBI took down the file sharing site MegaUpload, arresting its operators for criminal copyright infringement, hacktivists Anonymous fought back with their largest, most sophisticated attack yet. 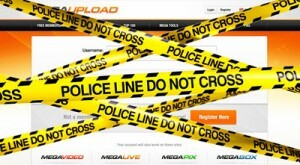 Within minutes of the U.S. Department of Justice (DOJ) announcing MegaUpload’s takedown, the hacker-group took down the websites of the DOJ, the Recording Industry Association of America (RIAA), the Motion Picture Association of America (MPAA), Warner Music Group, BMI, and Universal Music, all of whom are supporters of the Stop Online Piracy Act (SOPA) and the Protect Intellectual Property Act (PIPA). Anonymous tweeted the announcement of #OpPayback and to orchestrate its top-scale DDoS attacks (distributed denial of service – where the group effectively floods the site with traffic, overwhelming it to a point where it can no longer function properly). In an interesting evolution of the Anonymous attacks, hackers shared a link through Twitter inviting users to click and install a program called LOIC. This program allows computers to join in an attack on a particular website, firing overwhelming amounts of unwanted traffic at the site – it was almost a recruitment effort from the group to join the ranks of their zombie computer army. More than 5,635 people were confirmed by the group to have joined the attack using LOIC. The attack highlights the increasing complexity and scale of Anonymous’s signature DDoS attacks. The music industry targets were only briefly targeted for their support of SOPA and PIPA, although Universal’s site remained down this morning. The action against MegaUpload is being touted as the biggest copyright case in US history and although the DOJ is insisting that the case is completely unrelated to the ongoing battles of SOPA and PIPA, it couldn’t really have come at a more heated time. As the attacks continued, Anonymous tweeted ‘you should have expected us’. At such an explosive time for the future of the internet the closing down of MegaUpload has shown to be the catalyst for hacktivism to skyrocket. The scale of volunteers to join in the attack is a clear demonstration that hacktivism is not going anywhere soon other than up. The scale of the reaction that developments of SOPA, PIPA and any other copyright legislation could provoke is beyond imagination.